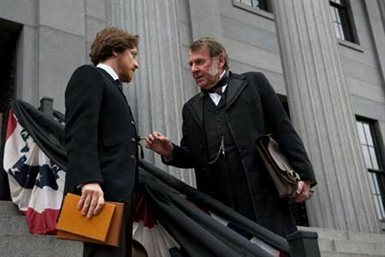 Against the turbulent backdrop of post-Civil War Washington, rookie lawyer Frederick Aiken (James McAvoy) reluctantly agrees to defend Mary Surratt (Robin Wright Penn) - the lone woman charged as a co-conspirator in the assassination trial of Abraham Lincoln. When his colleagues, friends, and true love begin to desert him, Aiken must rely on Mary’s spirited daughter Anna (Evan Rachel Wood) to help piece together the events leading up to the assassination. Facing down the government he fought so heroically to defend, Aiken quickly realizes Mary may be innocent and that she is being used as bait in order to capture the only conspirator to have escaped the massive manhunt: her own son, John. Unwilling to incriminate her boy, Mary refuses to cooperate as Aiken seeks to defend her by building his case against John. With time running out, Aiken puts everything on the line in order to convince a bloodthirsty nation - and Mary, herself - to do what is right. But will this be enough to prevent the U.S. government and its people from flouting principle and exacting revenge? Download The Conspirator in Digital HD from the iTunes store. The Conspirator images are © Lionsgate. All Rights Reserved. 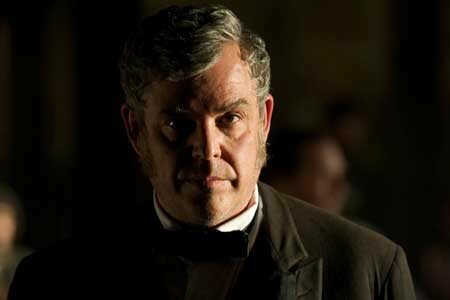 It is rare to find someone who doesn't know the story about the assassination of President Lincoln. It is part of our early education in history; we learned how he helped end the civil war and slavery. But like all historical fact, there is always more to be learned. This is the point of the new film The Conspirator starring James McAvoy, Robin Wright and Evan Rachel Wood. The film deals with the events post the shooting of the president, when the nation was crying out for justice but ultimately desiring revenge. The film opens on a battlefield where Frederick Aiken (McAvoy) lays wounded next to his friend Nicholas Baker (Justin Long) while reciting what should be a funny joke. They are discovered by some other union soldiers and taken to doctors. Fast forward two years and the friends are saluting to the end of the war. They are attending a party with some of the most influential men in politics at the moment. At the same moment, across town President Lincoln and his wife are attending a play on what will be his final night as President. The events we are all familiar with play out, Lincoln is shot, John Wilkes Booth escapes while announcing his loyalty to the South and the country goes into shock as their hero dies. Then the search begins as the conspirators are hunted down; eight men in all are arrested, while Booth himself is shot in a barn while fleeing the law. One man, John Surrat is unable to be located, but as more information is gleaned as time passes, it seems his mother Mary (Robin Wright) may have been in on the conspiracy as well. She is arrested and sentenced to be put on trial by a military court. The lead defense attorney, played by Tom Wilkinson, does not want to handle the case himself so he gives it to Aiken who is none too pleased about his appointment. He feels, like the rest of the country, that Mary Surrat should be punished along with anyone having any involvement with these tragic events. Of course he has no choice but to take on the case by himself and only gives a minimal amount of effort in doing so. Right from the start it is clear that everyone in the courtroom has already made up their mind and wishes to get through the details of the case as quickly as possible. After a brief interview with Mary and her daughter Anna (Evan Rachel Wood) Aiken has some misgivings about what the prosecution has to say about Mrs. Surrat. The two witnesses that the prosecution calls upon, at best, give subjective testimony in regards to events prior to the assassination. Anyone with a clear mind could see that the mother had no involvement with the conspirators. But, again, this is not about justice but revenge. As events unfold and Aiken becomes closer to Mary as well as to Anna he feels that they are being given an unjust trial and while he may feel anger about the loss of the countries leader, he doesn't believe that this woman be punished for the actions of her son. So he takes it upon himself to ensure that the court know that it was her son and not her, who conspired to kill the president. This leads to his isolation from friends and lovers who believe he is putting the needs of a single person before the demands of the nation. Given that this is a true story there are sure to be those who know how the events played for Mrs. Surrat, but for those who do not it is best to witness for yourselves the final scenes of the interesting film. 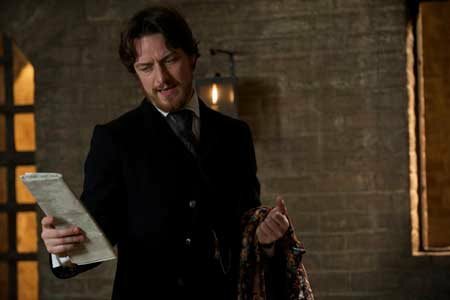 The performances from everyone in the film are very strong, with McAvoy doing an excellent job of leading the way. The only difficulty with this movie would be the pacing. While the story is interesting and engaging, it takes some time for the film to find its groove and until it does the film tends to drag. By the end though you will find yourself wondering what will come of the characters involved. The Conspirator is a well-directed and well-acted film that takes a second look at one of the most well-known parts of our nation's history and asks: How much do we really know? 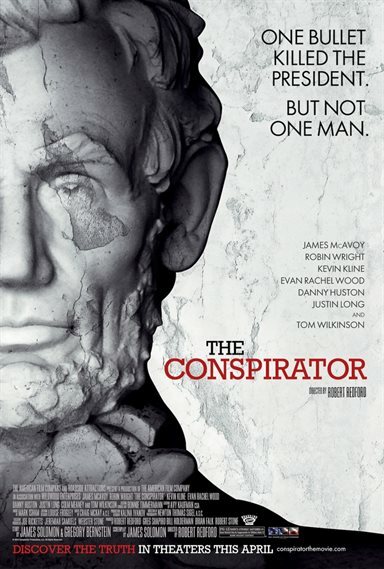 The Conspirator images © Lionsgate. All Rights Reserved.